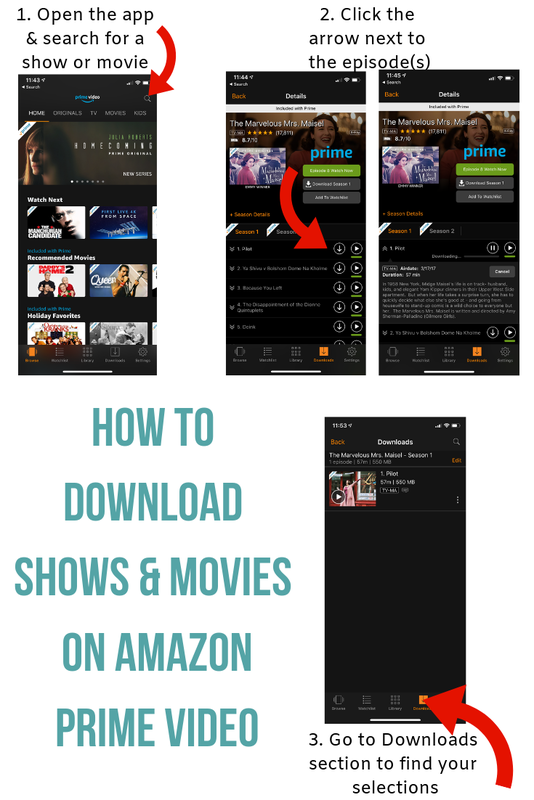 Did you know that you can download shows and movies from Netflix and Amazon Prime Video to watch on the go without a wireless connection? This feature enhances your memberships to both services and allows you to watch more while traveling without having to rent or purchase from iTunes. Netflix not only has countless original programming but also binge-worthy series worth watching a second time around. Amazon Prime Video is included with a Prime membership and such a great added benefit. Don’t have a prime account yet? Get a 30 day free trial here. Although a shorter list of original shows compared to Netflix, Amazon originals are all well worth a watch.